We moved to our current home in 2002, and unlike our previous home, our current home does not have a fence around the front yard. 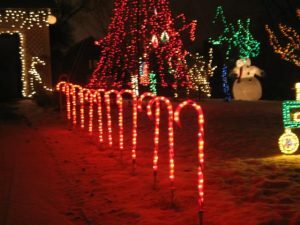 To provide both visual appeal, as well as a physical barrier to help keep folks from getting too close to the displays, we decided to add a Candy Cane Fence. For the 2003 display we added many small candy canes to the display. They were placed between the large canes to help complete the fence, and in various other places along the perimeter of the display. We also have 22 lighted candy canes along both sides of the driveway which are computer-controlled. These smaller canes were purchased — we tried making some for the 2002 season but found the smaller water pipe flattened with our bending technique. 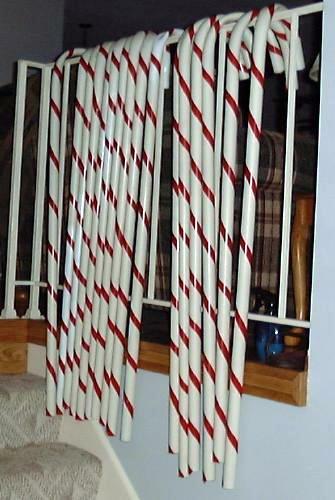 Candy Canes galore! This railing made a good temporary storage place while we were working on the canes. 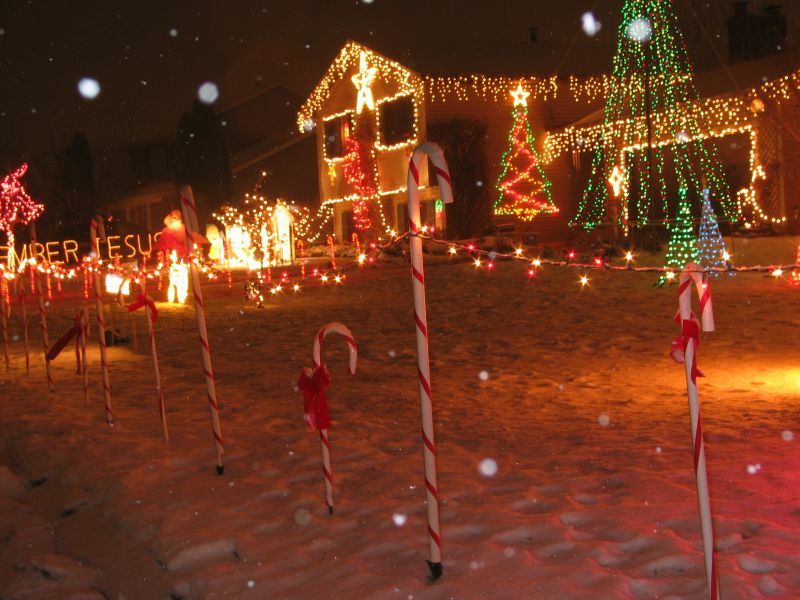 For the 2007 season, we retired the large candy canes, freeing up room for our LED Arch Fence which debuted that year. 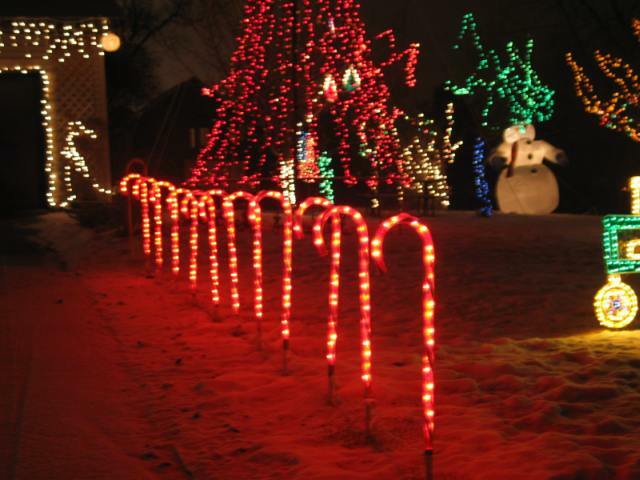 Some of the smaller canes were still used as part of the arch fence until we added the North Poles, as are the lighted canes along the driveway. 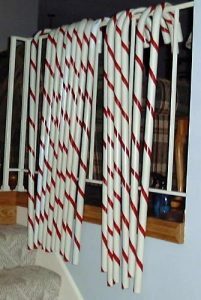 The large candy canes were eventually sold and are hopefully adding to someone else’s display now.